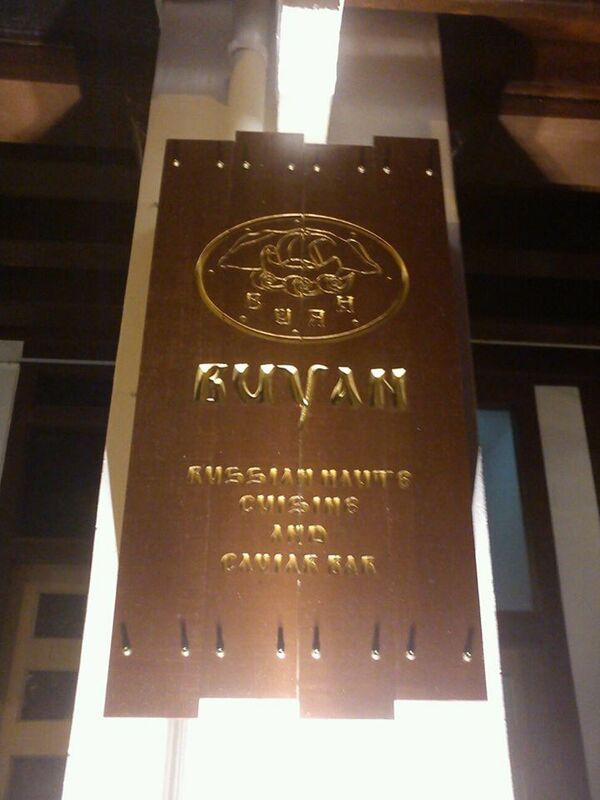 There isn’t much Russian restaurant in Singapore, but you can find one at Duxton Hill, Buyan Russian Haute Cusine and Cavair Bar. My friend who is a foodie, more than me, brought me there. 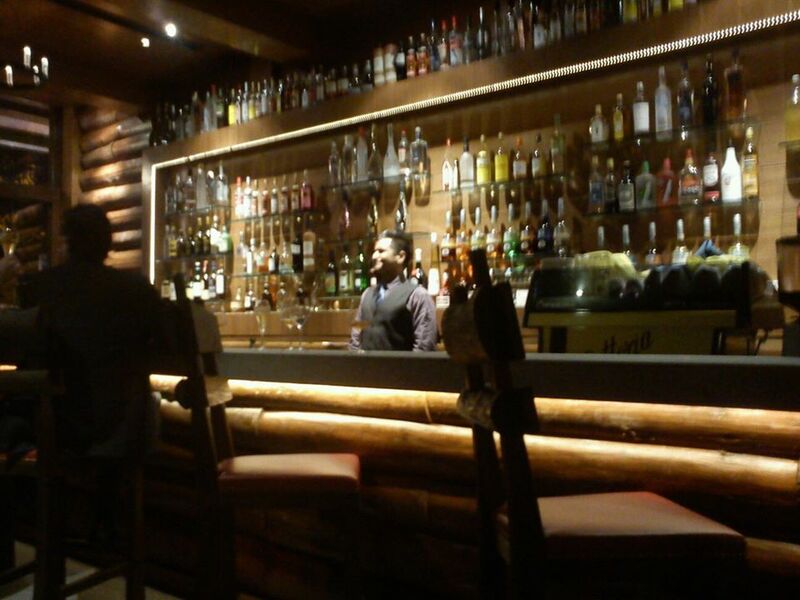 When you entered Buyan, you will see a bar counter on your left. There is display of many bottles of alcohol. The menu is in iPad. I believe Buyan is the first few started using the iPad for its menu. It has superb graphic with write-up to introduce diner to the dishes. We took quite a while to decide as we are not familiar with Russian cuisine. 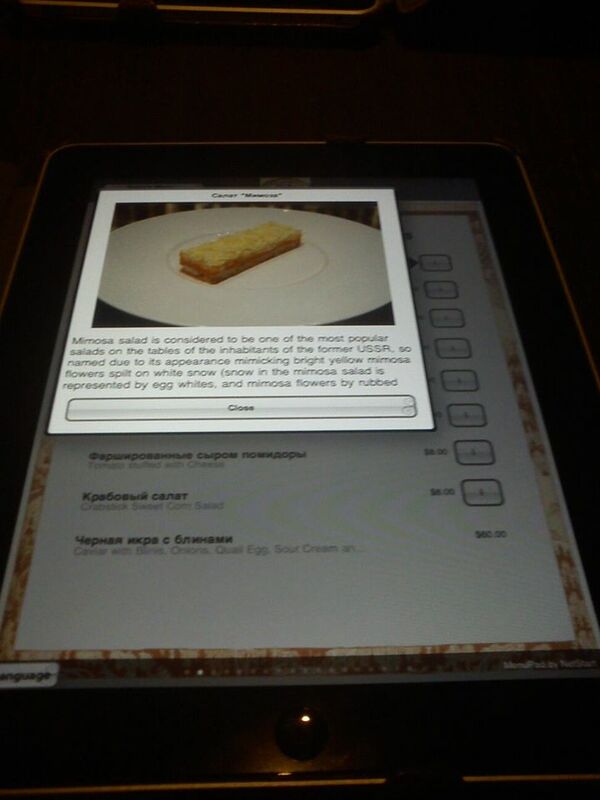 Thanks to their feature in iPad, otherwise, we would need the server to be with us to explain and to recommend us the dish. We ordered an appertizer, two main course and a dessert. 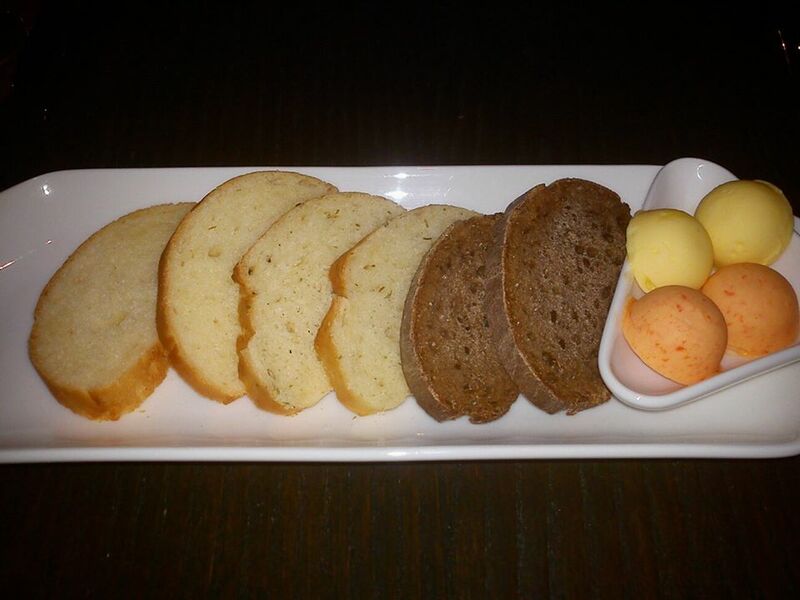 Once we have completed our order, we were served with bread. I like the way Buyan served the better. It is very presentable, appealing to the eyes. The bread taste good. 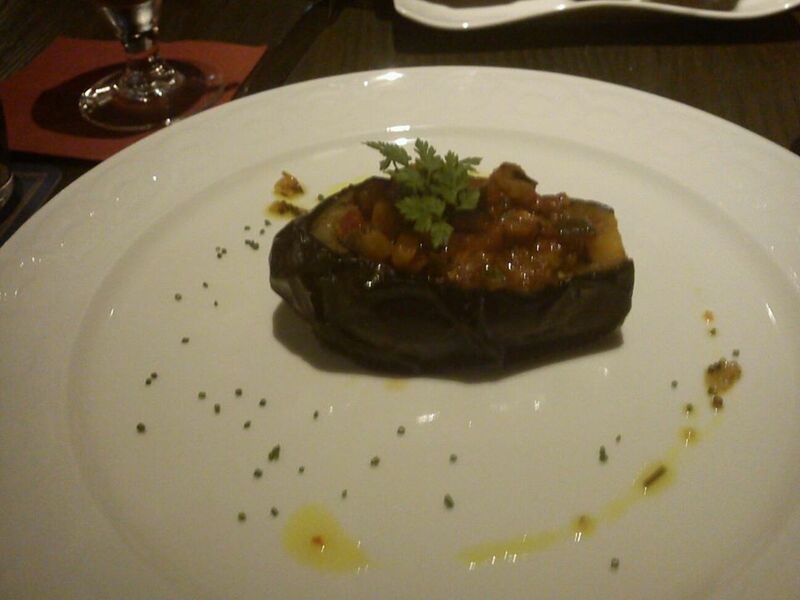 For the appertizer, we chose the egg plant, pretty normal, no surprises. My friend and I love egg plant anyway so we enjoyed the dish. 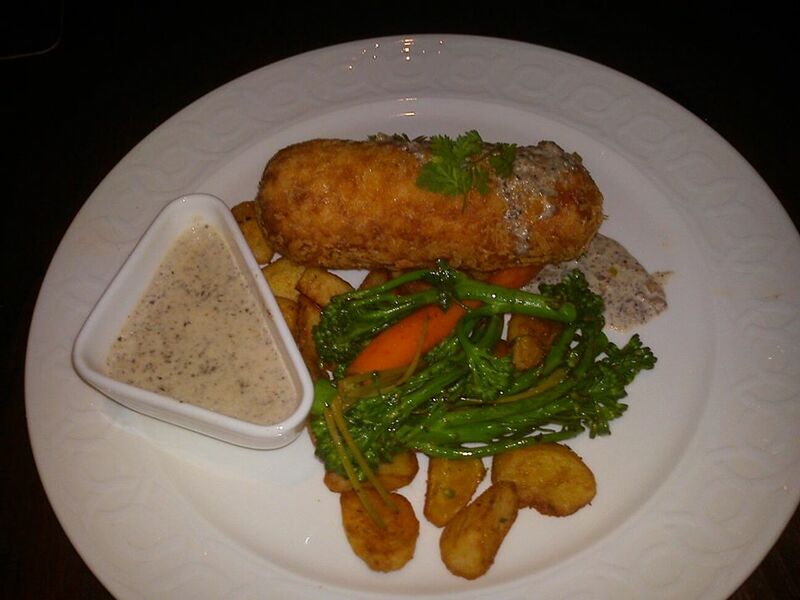 The first main dish that was served was the Beef and Pork Kebab. 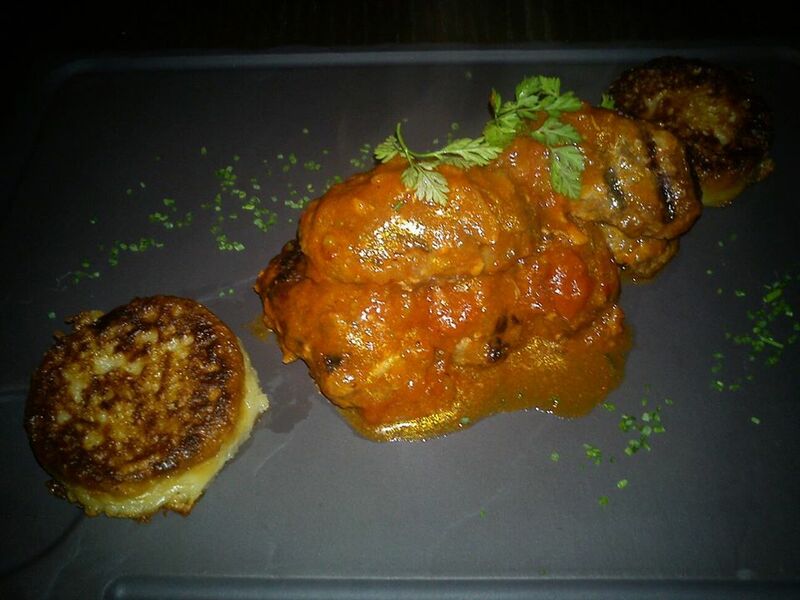 It is meatball in tomato sauce. It tasted great. The second main dish we ordered was a chicken dish. It was delicious as well. The chicken was well fried and the meat was still very juicy. The batter is thinly coated and it blended well with the chicken meat. The sauce goes very well with the meat. Lastly, our dessert. We ordered the Baba. We were told by the waiter that this is a tradition dessert for the Russian. The Baba are cakes soaked in Rum. One cake in 2 years rum, one in 5 years rum and one in 7 years rum. The cake has a soft texture, like the sponge cake, and it is buttery. The more year the rum, the stronger the alcohol taste. I didn’t like the one soaked with the 7 years rum. On the whole, they are very generous with the rum. I find it over-dose. It would be a great choice for the alcoholic dessert lover. I haven’t tried Russian food… Might go and try! Go go, give it a try. 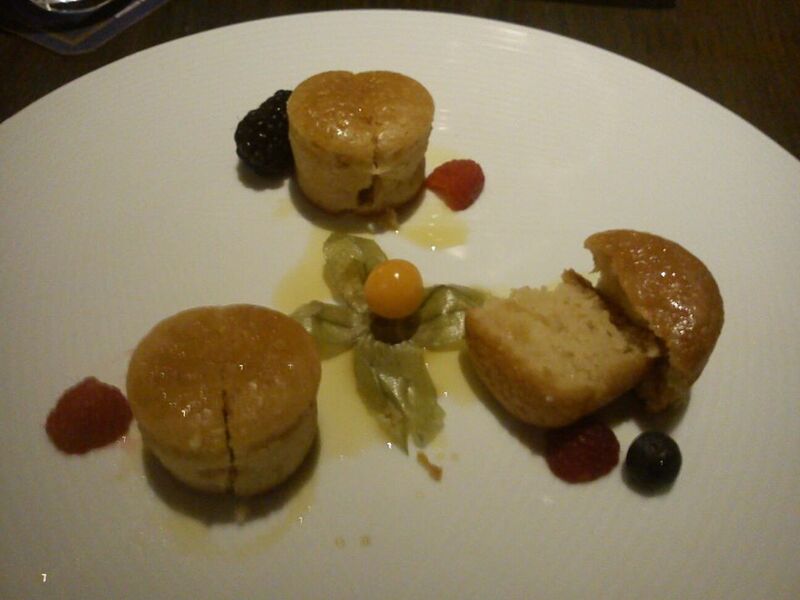 The dessert are pretty interesting. There isn’t much Russian Restaurant in Singapore so not much chance too.